The Women of Power Summit is a leading executive development and leadership conference for African-American women. 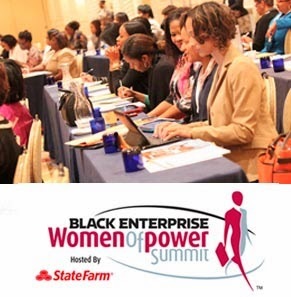 Each year, the organization has a conference for women who are corporate executives, professionals and businesswomen from across the U.S. Black women business owners, entrepreneurs and other professionals will want to mark their calendar for this event February 26-March 1, 2014 in Boca Raton, Florida. The Women of Power Summit provides executive leadership workshops that give women information on how they can achieve their professional and personal goals. Women will also be able to spend four days networking with other successful business women and meet leading female executives and decision makers from around the country. The event is directed by Black Enterprise Magazine, and is highlighted by the Legacy Awards dinner that honors the achievements of African-American women. Women like actress Cicely Tyson, former Chairwoman of the NAACP Myrlie Evers-Williams, and Marian Wright Edelman, founder and President of the Children’s Defense Fund. Since 1997, the number of women-owned businesses across the country has increased by 59 percent. In addition, the number of women entrepreneurs starting their own businesses has doubled during that same period, and about one of every three women-owned businesses are owned by minority women. The Women of Power Summit provides important information that keeps women on top of corporate trends, provides leadership and management skills, and organizes discussions on small business issues.